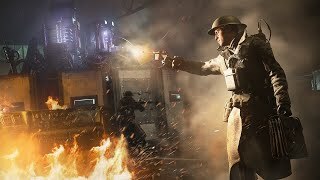 8/23/2018: The Shadow War DLC includes three multiplayer maps, a new War Mode mission, and the conclusion to the Nazi Zombies storyline. 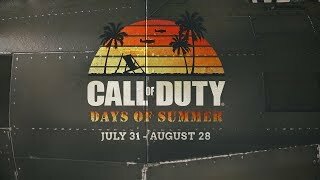 7/31/2018: A new sandbox map, new weapons, WWII fighter planes, and a new take on Zombies mode. 7/2/2018: Time to show your national pride and give in to your Wanderlust. 6/25/2018: General Rideau decides to take one last, dangerous gambit: Transport the remaining pieces of Emperor Barbarossa's legendary sword to the edge of the world. 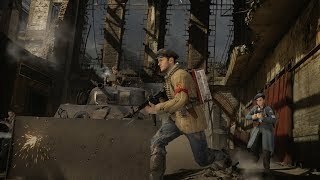 6/19/2018: Three new Multiplayer maps: Stalingrad, Market Garden, and Monte Cassino, a new Mode mission: Operation Supercharge, and more Nazi Zombies. 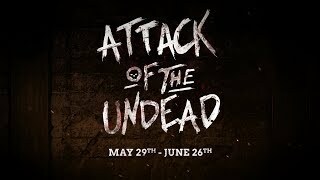 5/29/2018: Zombies have invaded the multiplayer battlegrounds and it's time to fight back. 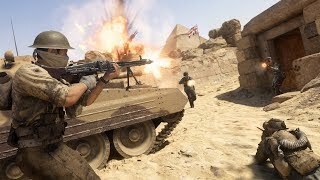 4/17/2018: The enemy is knocking on the door, so Command has issued new Orders: gather your squad, hit the frontlines, and earn some extra rewards for your effort. 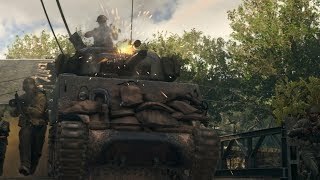 4/3/2018: Join the Allies and stop the powerful Axis advance in three new multiplayer maps that illustrate the might and global reach of the Axis War Machine. 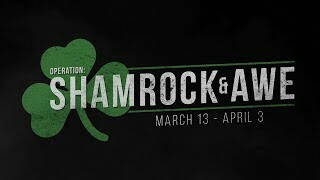 3/13/2018: Test your luck, soldier. 1/29/2018: It's time to hide in plain sight and operate under the cover of darkness. 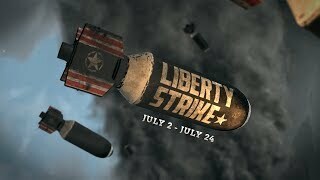 It's time to live the spirit of The Resistance. 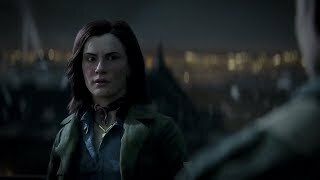 1/25/2018: Battle your way through the Paris streets in Occupation, the Wolf's Lair in Valkyrie, and the torn city of Prague in Anthropoid. 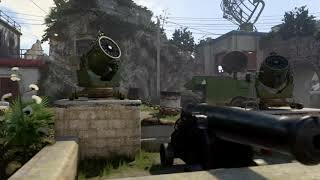 Free your fellow resistance fighters on Operation Intercept. 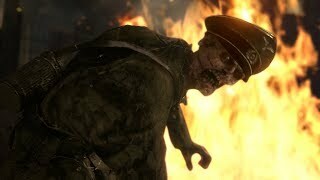 Then try to survive the zombie infested island on The Darkest Shore. 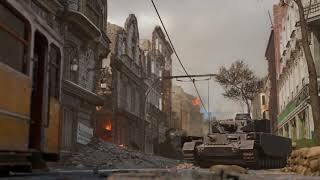 1/10/2018: Only days after the horrific disaster of Mittelburg, the crew has received intel that suggests Doktor Straub is on an island just north of Germany. Blanketed in fog, this island is surrounded by Nazi air and sea power - and crawling with the Undead. 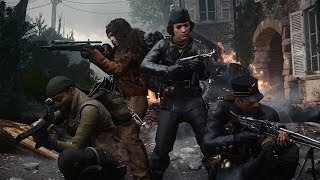 12/19/2017: A first look at the new MP maps, Valkyrie, Anthropoid and Occupation, as well as the new War Mode and the next chapter of Nazi Zombies, The Darkest Shore. 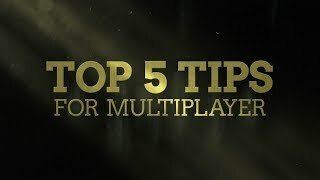 11/3/2017: Five tips to get you started in the multiplayer. 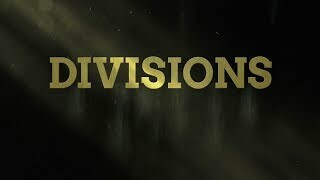 11/2/2017: A look at the multiplayer mode's Divisions. 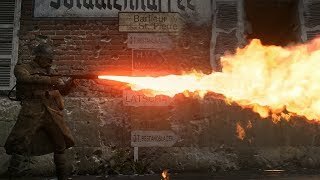 10/30/2017: Fight through the destroyed buildings and fortified streets of this war-torn French town. 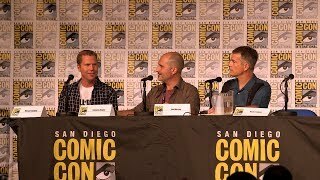 10/16/2017: It's time to get your squad back together. 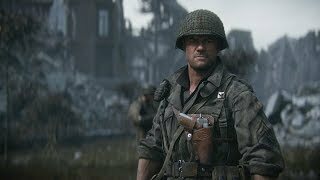 9/21/2017: Get a peek at how Sledgehammer Games pays homage to the men and women who answered history's call. 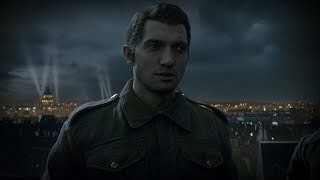 9/20/2017: A highly skilled French Resistance fighter, Rousseau will do whatever it takes to fight off the Axis powers in France and avenge the ones she's lost. 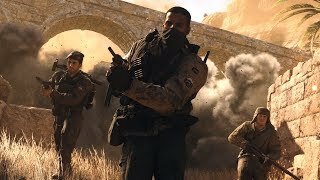 9/20/2017: After years of fighting in the British Expeditionary Force, Major Arthur Crowley serves as a part of the Special Operations Executive, where he executes covert missions behind enemy lines. 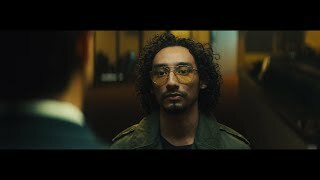 9/19/2017: He's strict and does everything by the book. Stay on Sergeant Pierson's good side, or you'll be sorry. 9/19/2017: You can always count on him when things get grim. 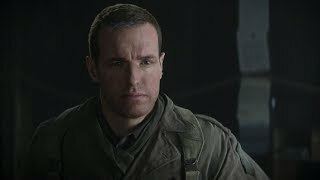 Meet Private Robert Zussman, Red's best friend in the squad. 9/19/2017: His years of military experience and compassionate leadership will help keep his men alive. 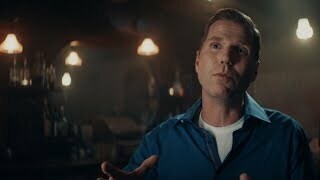 Meet Lieutenant Joseph Turner, your commanding officer. 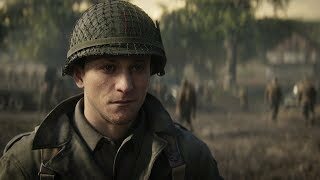 9/19/2017: From rural farm life to hardened soldier, be prepared to sacrifice everything as Private Ronald "Red" Daniels. 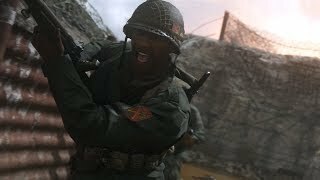 9/18/2017: Call of Duty: WWII tells the story of Private Ronald "Red" Daniels, a young recruit in the U.S. First Infantry Division who experiences combat for the first time on D-Day. 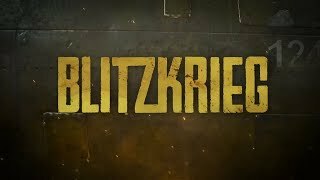 8/30/2017: Urban combat on German soil. 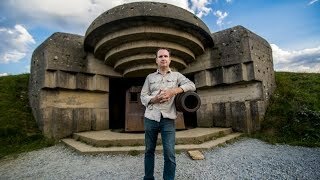 8/23/2017: Prepare for multilevel combat engagements and treacherous terrain in Gibraltar, one of the most densely fortified WWII locations in Europe. 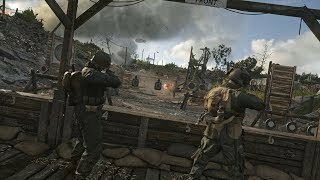 8/22/2017: Warm up in the Firing Range, prove you're the best in the 1v1 Pit, watch Call of Duty esports matches live in the Theater, man the AA guns to earn rewards, and more. 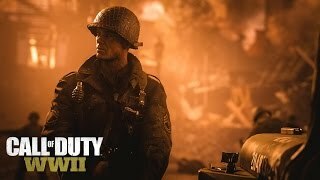 8/14/2017: Be among the first in the world to get hands-on with the Call of Duty: WWII multiplayer modes. 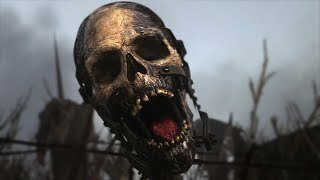 7/22/2017: Sledgehammer Games reveals the storyline and characters of Call of Duty: WWII Nazi Zombies mode. 7/20/2017: Attempt to recover priceless works of art stolen by the Axis powers from a snowy Bavarian village occupied by a Nazi army of the dead. 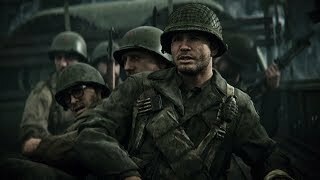 6/12/2017: Armed with an arsenal of iconic Allied and Axis weaponry, players are immersed in brutal gameplay as they fight to liberate a continent in the throes of tyranny. 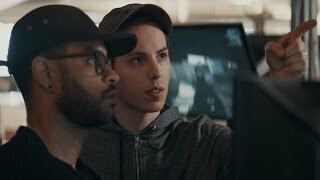 5/3/2017: The game's developers discuss what Call of Duty: WWII means to them. 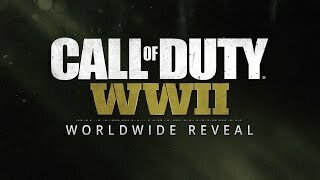 4/26/2017: The Sledgehammer Games team and special guests reveal details on Call of Duty: WWII. 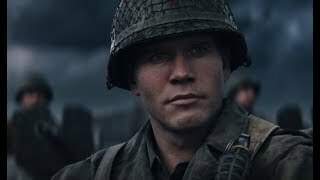 4/26/2017: Play through the story of ordinary men turned soldiers in the 1st Infantry Division as they fight to preserve freedom in the face of tyranny.